Smart displays aren't for everyone. They're not exactly tablets, but they look like ones and are both less and more useful, depending on how you look at them. With far superior sound and always listening mics, they act as a smart speaker for your home; but without real apps or a fully functional browser, you hit some roadblocks while using them and wish they could do just a little bit more. Over the past few months, every time I've read someone compare Smart Displays to crippled tablets, I've had the same reply: I want one because it would work for me. 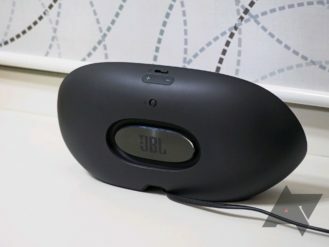 My husband and I have had a connected speaker of sorts in the kitchen for the past year (Jensen JSB-1000 first, then JBL Link 20) to enjoy music while cooking or doing the dishes, and I've been using my Galaxy Tab S2 to follow recipes plus my phone to video chat over Duo with my parents and in-laws (before Duo added tablet support). 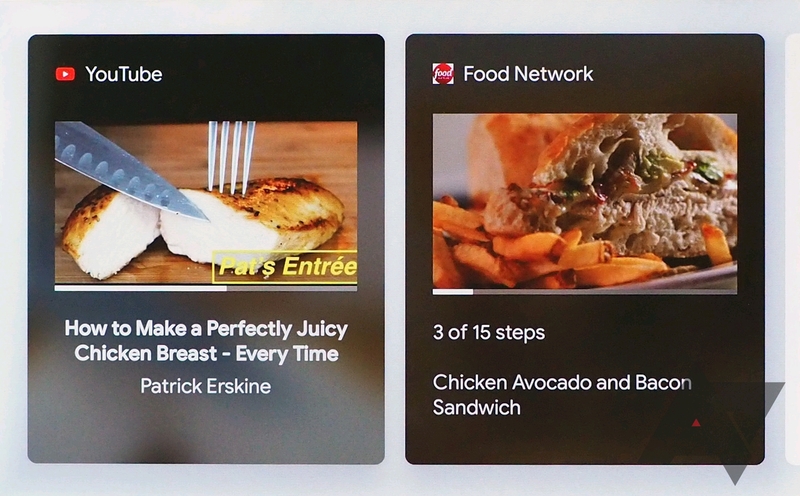 A Smart Display makes a lot of sense in that context, as it would replace all three items in a more streamlined way. 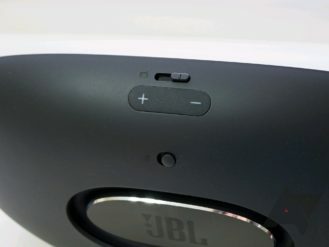 After a couple of weeks with the JBL Link View, I'm conflicted. The hardware and sound are near excellent, it's useful in the setting I described above, but from a software perspective, this is clearly a first-generation product and the onus is on Google to fix many of its shortcomings. If you're buying this Smart Display and not Lenovo's, which Ryne reviewed earlier, you'll get better sound and a smaller screen in the same footprint and price. You'll still have the same limitations though. Sound JBL is pretty much synonymous with good sound. 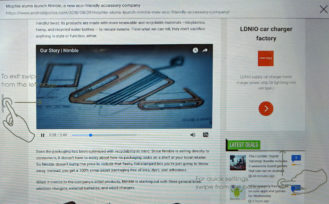 The Link View doesn't veer from that, providing enveloping sound and oomph with your music. Build It's well-built with sturdy materials that can withstand some abuse if you decide to use it in the kitchen. 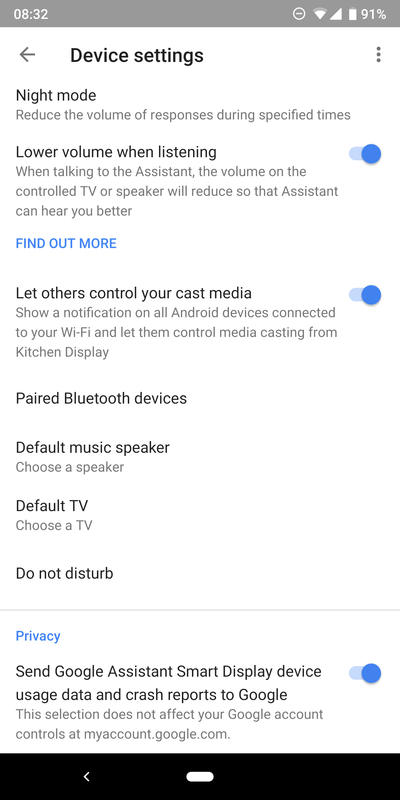 Cast target It works like a Chromecast, receiving both audio and video from any compatible app on your smartphone. 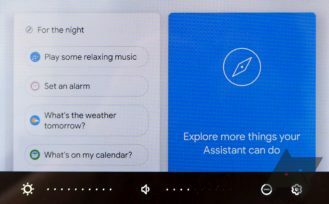 Google Assistant Almost every command you can ask a Google Home, you can ask it. Some privacy You can block out the camera and mute the mic to preserve your privacy. You can also disable personal results from your homescreen and notifications. 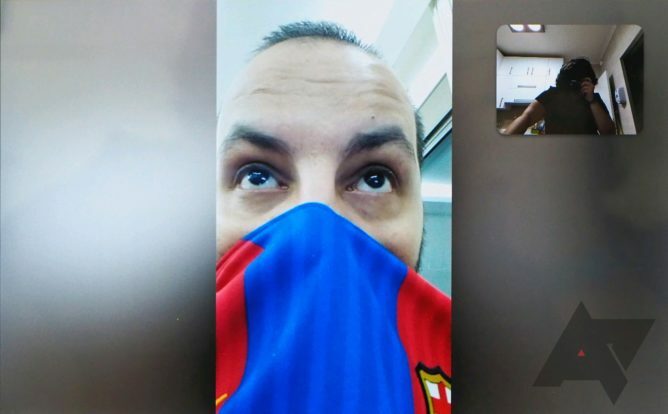 Google Duo If you video call some people semi-frequently, you can't beat the convenience of having a display propped up and ready to place a call with a simple voice command. 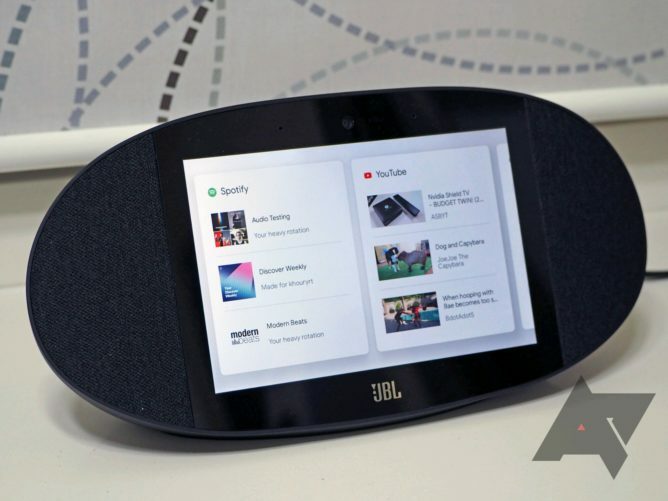 Design and display The JBL Link View is very simplistic in design compared to the sleeker Lenovo Smart Display, plus you only get an 8" display in the same dimensions as the 10" Lenovo and for the same price. 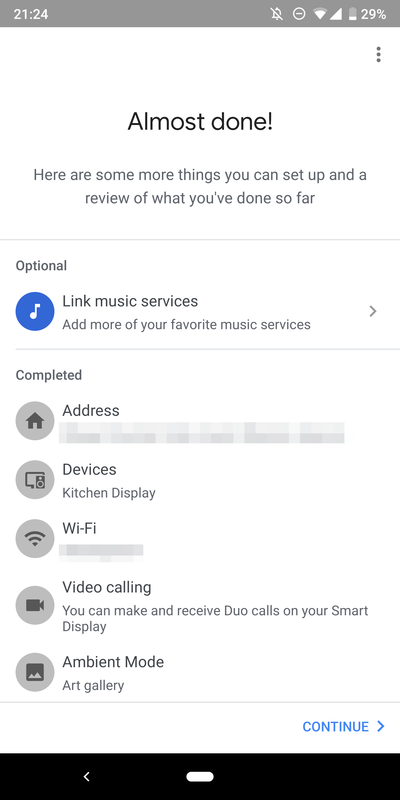 No multi-room You can't group the Link View with your other Chromecasts and Google Home/Assistant speakers. No apps and no browser I knew this wasn't a tablet but I still often yearned for proper app support and a fully functional browser on the Link View. No portrait stand You can't prop the JBL unit vertically. Most of your Duo calls will consist of a vertical video in the middle of an otherwise empty screen. 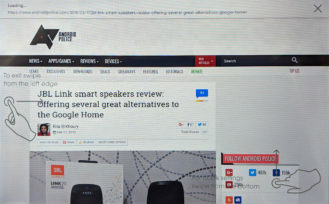 Only English (US) Smart Displays only support US English, unlike Google Home speakers, which can understand several languages (including bilingual support). Price $250 for a novelty item. 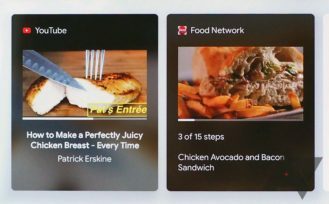 Even if you're well entrenched in the Google Assistant ecosystem, smart displays aren't for everyone. 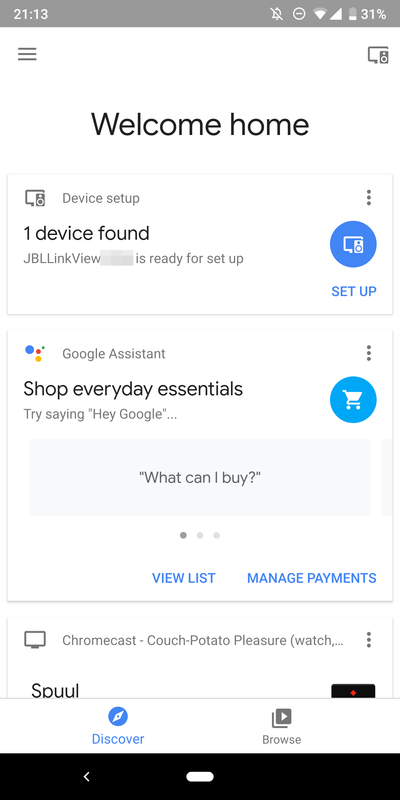 It's tough to review the JBL Link View when everything it can do is basically tied to Google Assistant. 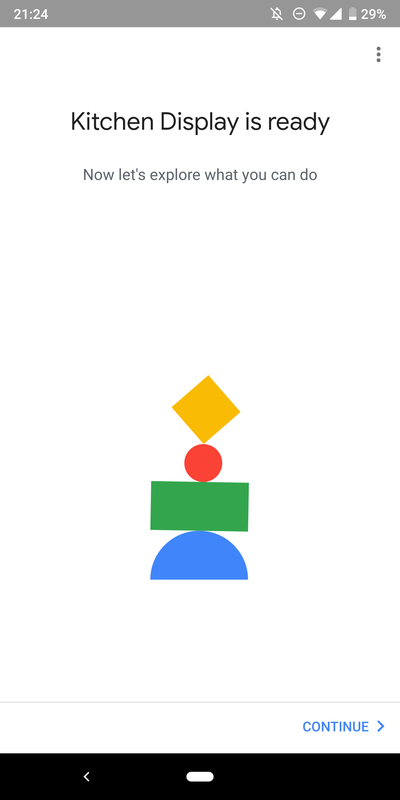 Its shortcomings, unless they're hardware related, are mostly due to Assistant and it's Google's responsibility to fix them. But when you buy the Link View, you're buying into the entire experience, so you should know what you're getting, regardless if it's JBL's issue or Google's. 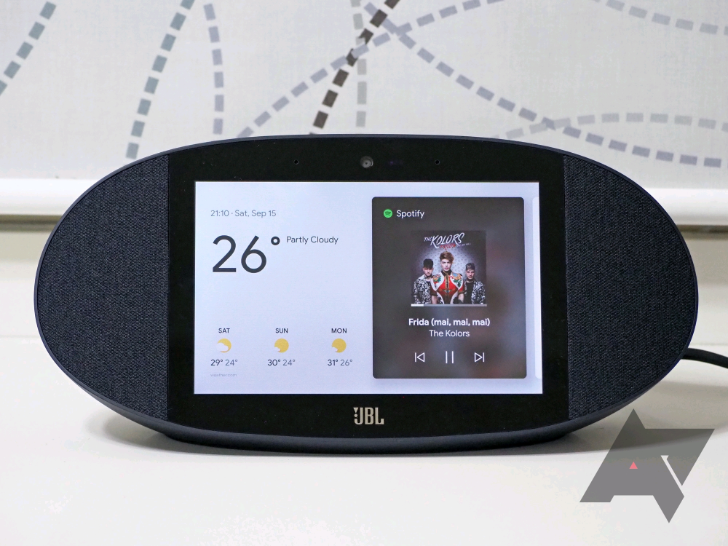 The JBL Link View looks somewhat like a designer slapped a display in the middle of a JBL Playlist and called it a day. 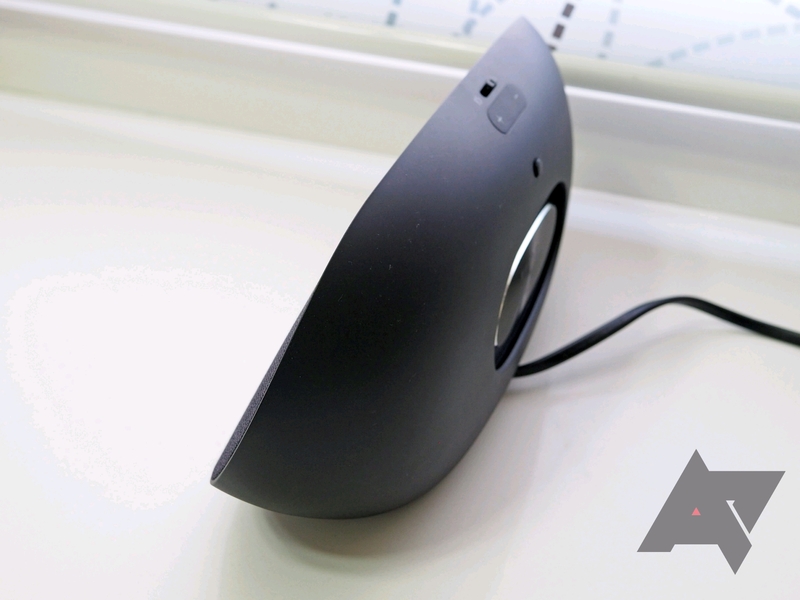 With its oblong shape, black fabric covered speakers, and matte black plastic all around, the resemblances are eery. You even get the passive radiator around the back. The similarities end here though. When I first took the unit out of the box, my first impression was that it was a lot lighter and thinner than I expected. When you sit it down, it takes about 10cm in depth, but that's due to the laid back angle of the display, which helps you see it from a distance. Its stadium shape puts the emphasis on the speakers and you get two of them here, one on each side with 10W of output power. 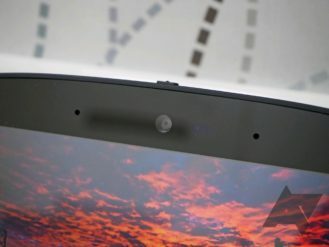 Around the 8" display, bezels are predominant. There's a JBL logo on the bottom, plus the 5MP camera, two microphones, and the sensors on top. 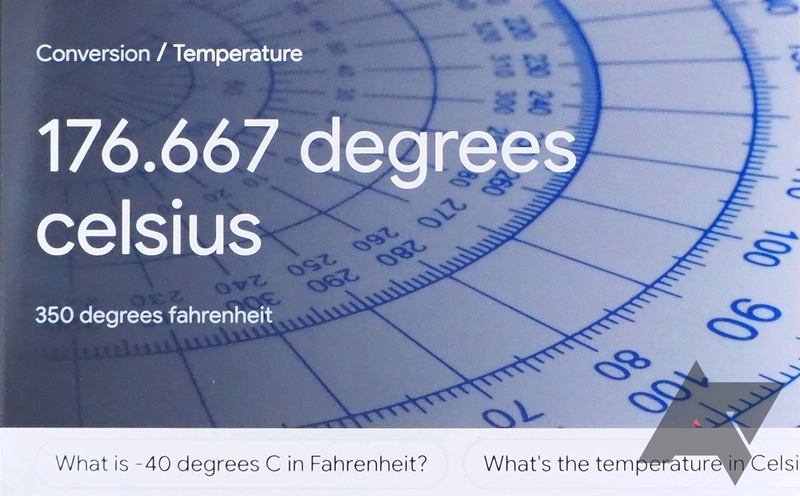 The 8" HD display's quality is average. 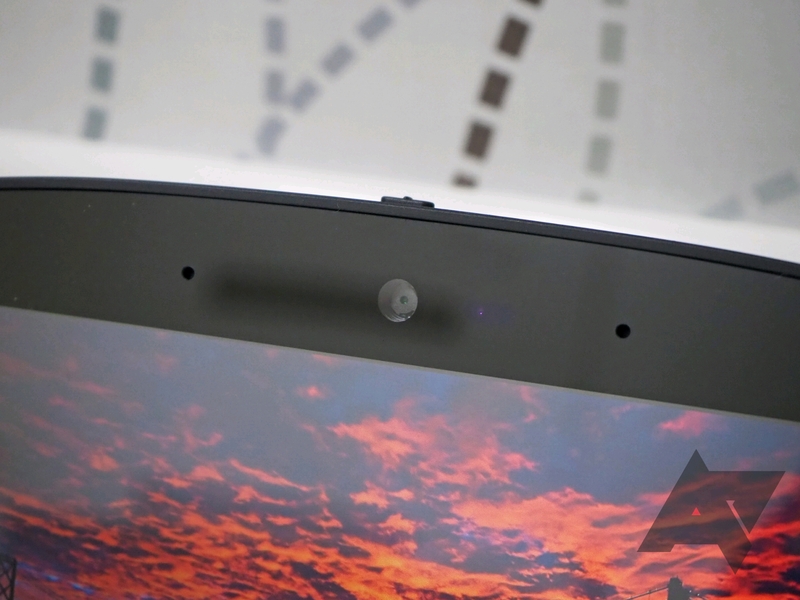 Colors don't pop, and the 720p resolution for an 8" display isn't ideal. But more often than not, you won't be staring at it from a super close distance so the resolution doen't matter much. What we care about here is that it's viewable at an angle and good enough for indoor use. In my case, the kitchen window is behind it and there aren't many reflections that bounce off it, so I didn't have any issues seeing it in broad daylight, just as I didn't mind its readability at night with all the indoor lights turned on. The back of the Link View has the camera shutter slider, volume up and down controls, as well as the mute switch. 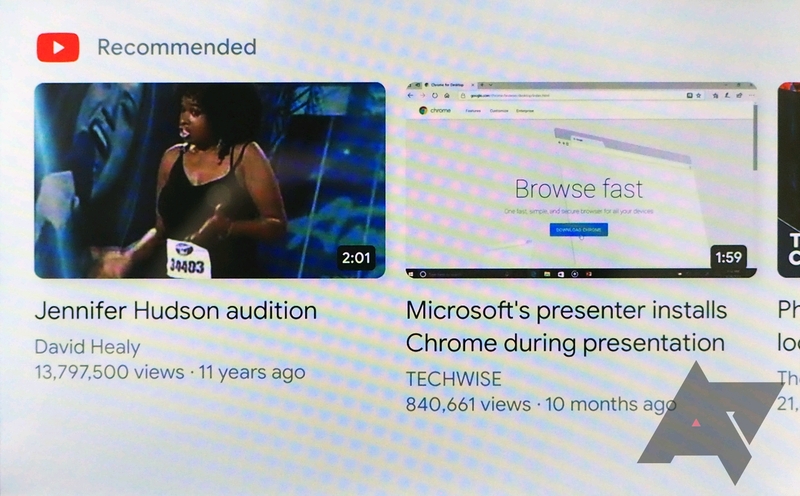 All of these were also found on the Lenovo model, so I'm starting to think they're pre-requisites for all of Google's approved Smart Displays. A passive radiator takes center stage below them, with the power input on the bottom. If you're playing bass-heavy music, you can put your hand on the radiator and feel it vibrate. It's very cool. The proximity and light sensors can automatically set the brightness, turn off the display when the lights are off, and wake it up when you walk in front of it. 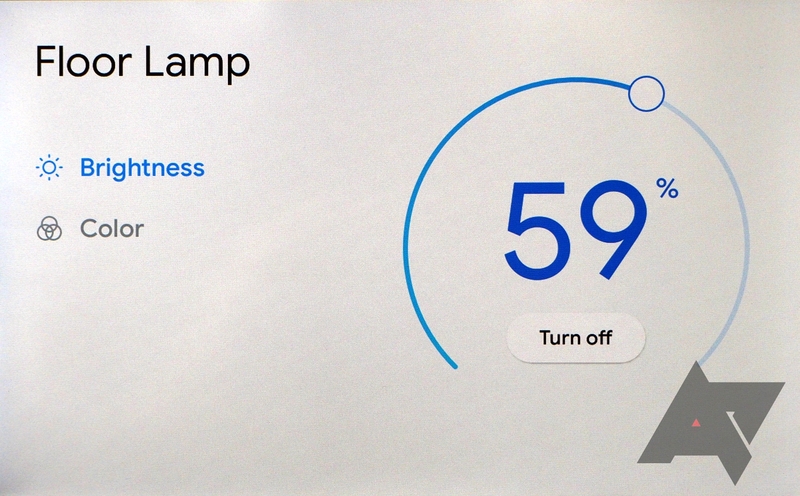 You can also manually perform these actions, but having them automate based on presence and light is more convenient. The main drawback in the design is the lack of a vertical orientation. 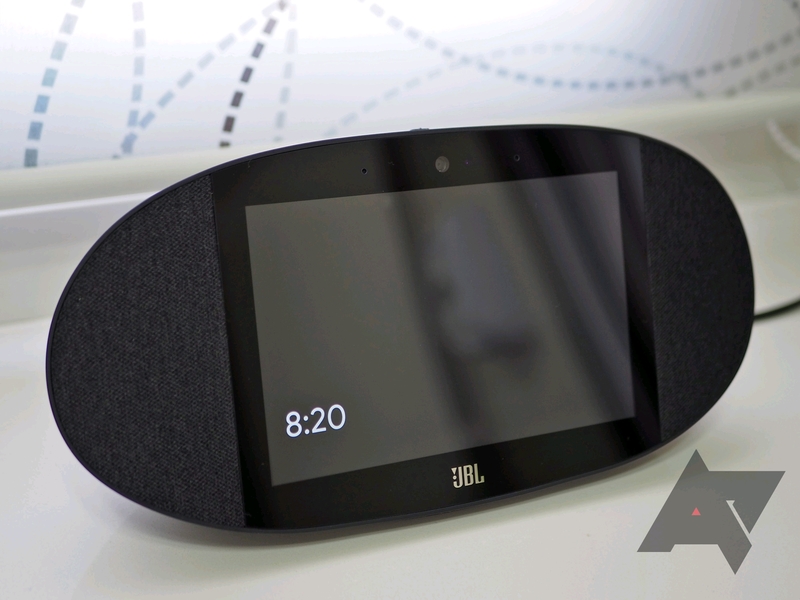 While the Lenovo Smart Display can stand on its side, the JBL unit is only designed to be placed horizontally. This doesn't matter in most cases, until you get to Duo calls. If the other person is using a phone, where Duo is only supported in portrait, you'll see a vertical video in the middle of an empty landscape screen. Setting up the JBL Link View isn't any different from a Chromecast or a Google Home/Assistant speaker. 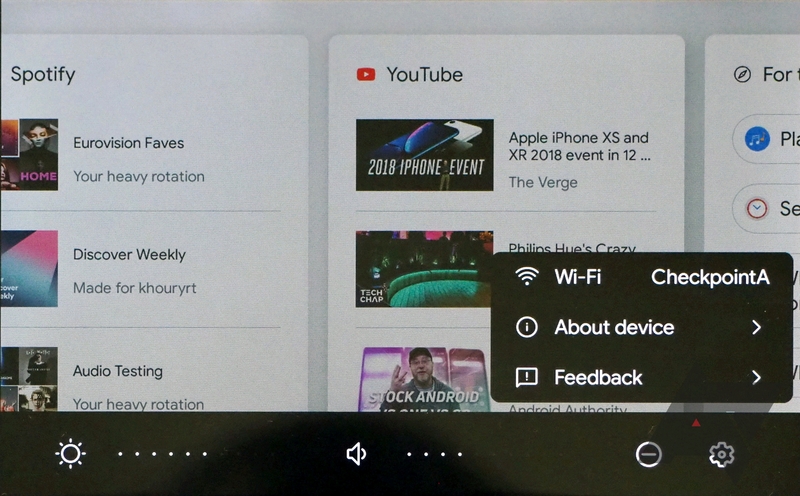 You plug it in, get a notification on your Android phone or open the Google Home app and see a card for a new found device. 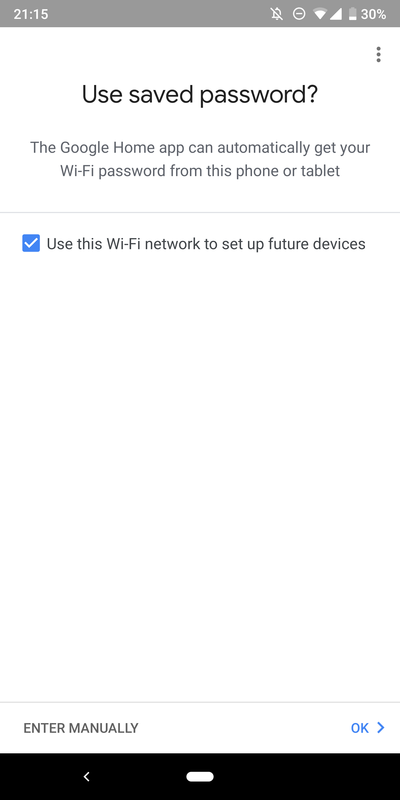 Then you follow the instructions to teach it your WiFi network, link it to your Google account and voice, choose its location and your preferred music service, and so on. 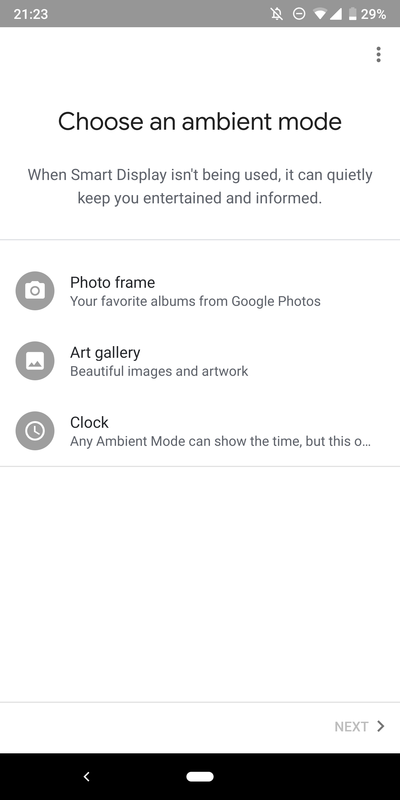 There are two additional steps for displays: you'll have to pick an ambient mode and link it to your Google Duo account. You can skip the latter if you prefer not to use video calling. 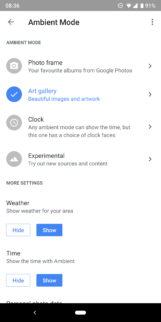 Ambient mode selection is a little limited for my taste, but this is Google's fault. You have to choose to either display a photo frame, professional photos and art drawings, or a more elaborate clock. You can't pick multiple source types at the same time, which restricts the selection. 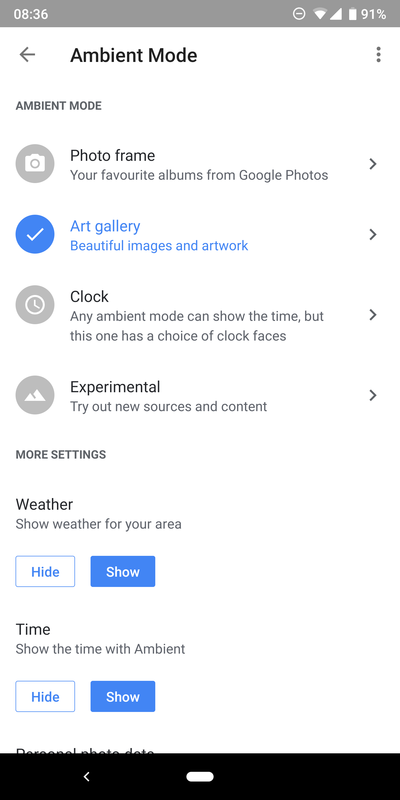 You also can't display the date in the ambient mode, hampering usage as a bedside bedside clock. 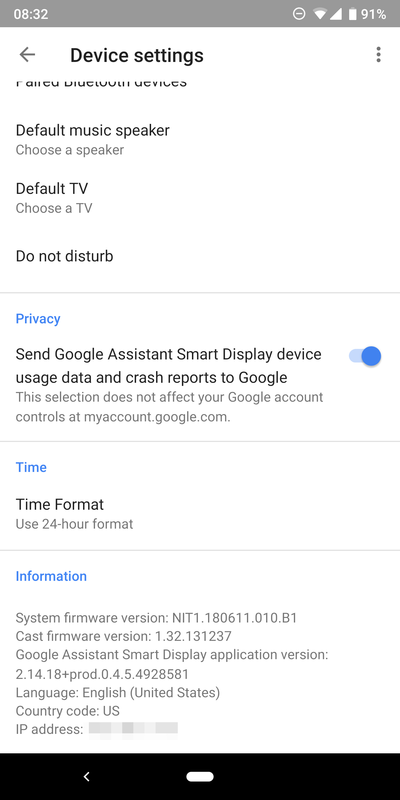 Once set, the Google Home app offers multiple additional settings for your Smart Display. 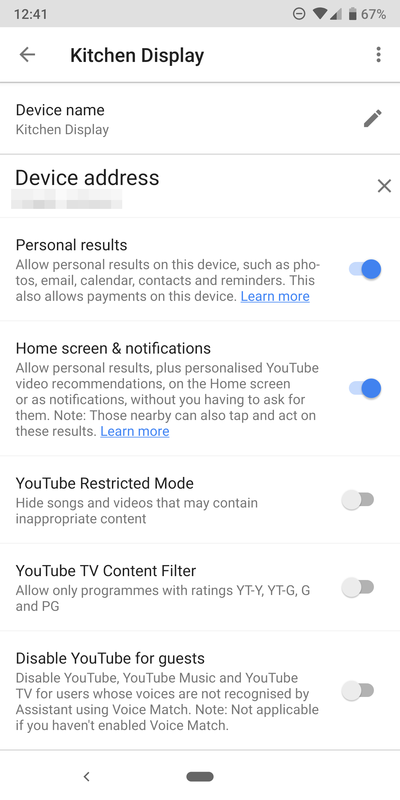 In the More settings section, you can get to the Google Assistant-related options, which is where you can change its name, address, disable personal results and recommendations (an important feature for privacy), fine-tune YouTube results, and set up your Duo number. 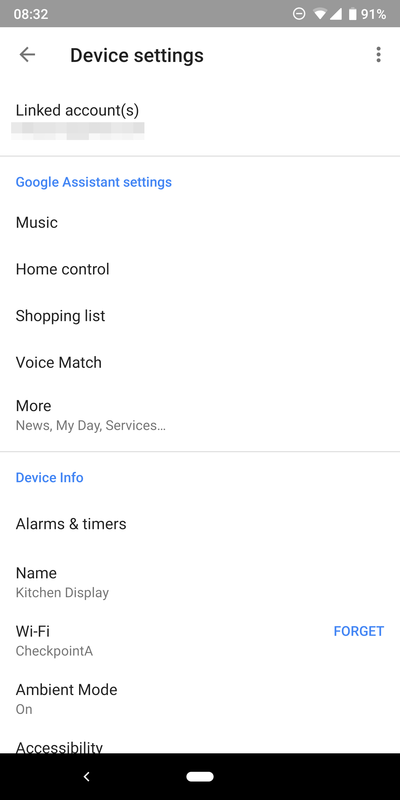 In the Devices section, you see the hardware-related settings, including accessibility options, night mode, default speakers, and more. Using the Link View is relatively easy — a short tutorial explains the gestures when setup is done. 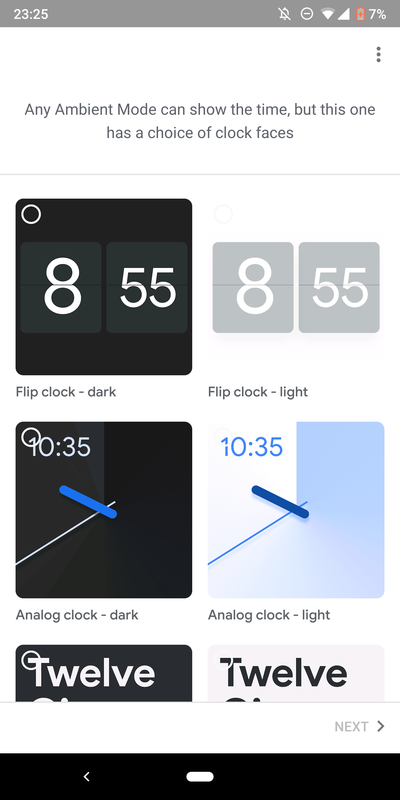 If the display is off (only the clock is showing), you tap once to turn on the ambient mode and once more to go to your homescreen. 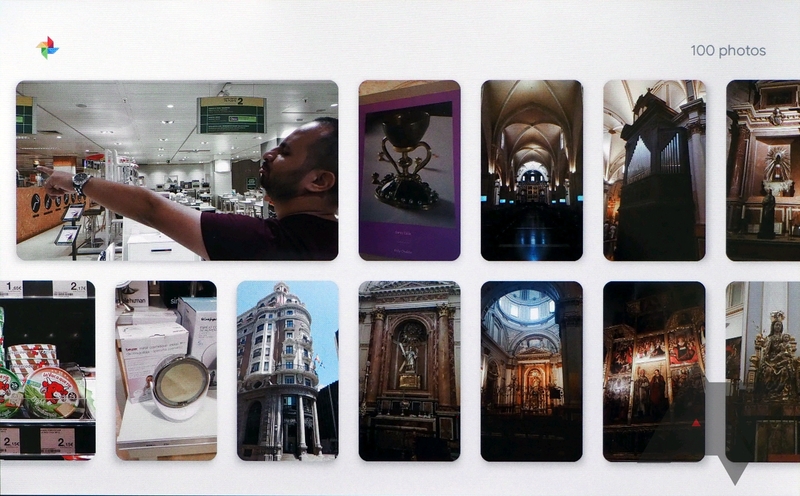 This shows the date, time, weather, with cards for your upcoming appointments, recommended YouTube videos, road to work, and more. Cards can't be swiped away, which is the feature my husband has complained about the most. You can tap to go to the corresponding app and swipe to reveal more cards, but getting rid of one isn't possible. 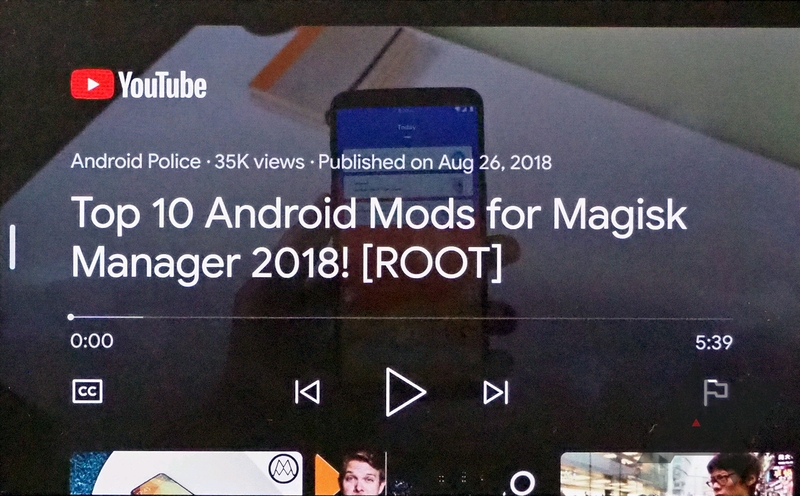 When an app is open (think Spotify, YouTube, Maps), a swipe from the left edge of the display brings you back to the homescreen. Another swipe triggers the ambient mode, and one more turns off the display and shows a small clock in the bottom left corner. 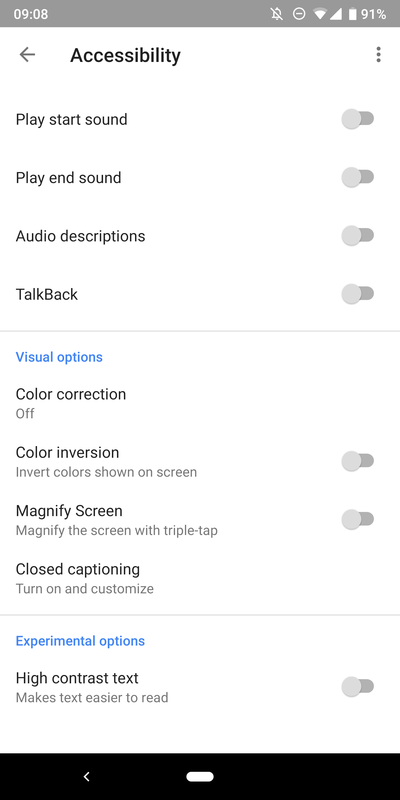 A swipe up from any app or the homescreen lets you control the volume and brightness, toggle automatic brightness, and turn on Do not Disturb. 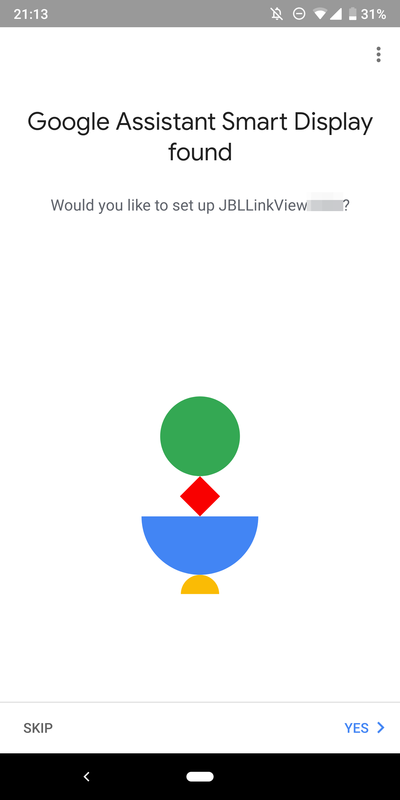 It's not properly documented, but if you want to hard reset the JBL Link View, you'll have to press the physical volume up and down button together for about 8 seconds. 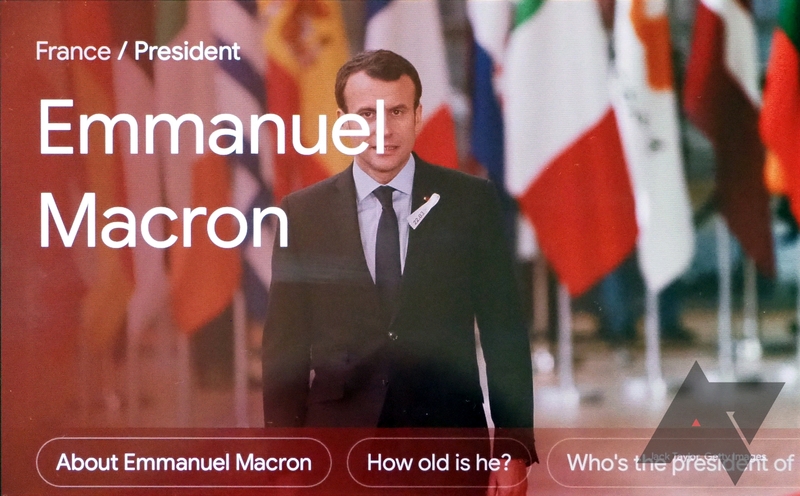 Google Assistant is not created equal across all its shapes and forms. 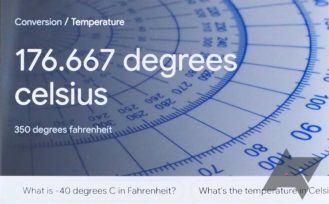 What you can do on your phone is different from your Google Home, or Android Auto, or Wear OS watch, and so on. On Smart Displays, most of the functions are there. 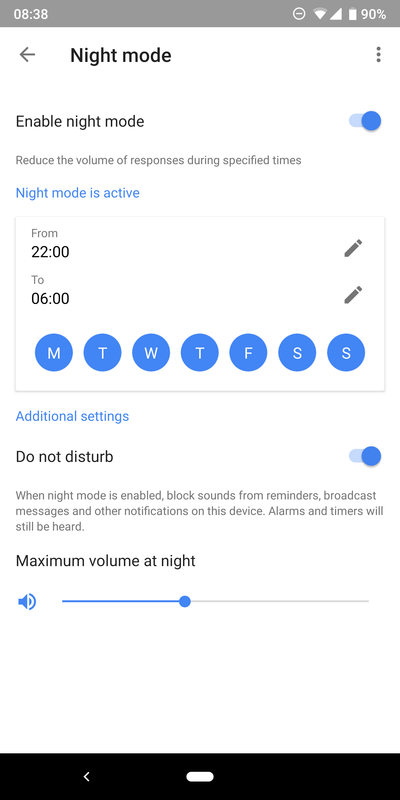 Setting up alarms (and music alarms), playing music and YouTube videos, adding calendar events and reminders, checking traffic and directions, triggering routines, asking questions, doing calculations and conversions, all of the basics are supported. 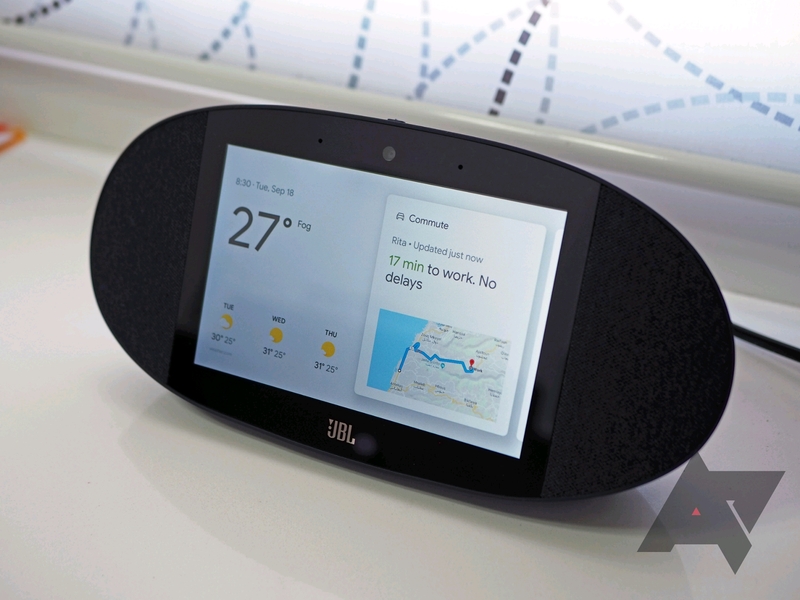 But if you have a Google Home speaker or any other Assistant speaker in your home, you need to readjust your expectations with Smart Displays. Sometimes, using them harkens back to a year or so ago, with many missing features that we take for granted now. It's restricted to US English. None of those fancy languages supported on other Google Homes and definitely none of that bilingual stuff. If you also speak Spanish or Italian or French, you can't use that here. Odds are, just like with Google Home, other languages will be available when Smart Displays get officially sold in the corresponding country. It's a silly way of doing things, but blame Google. 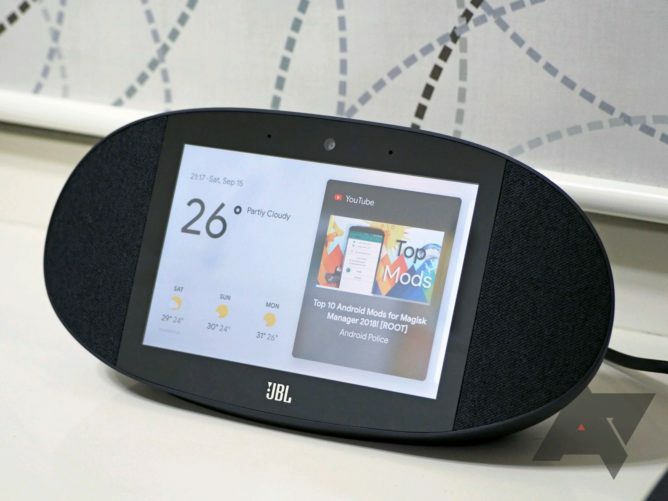 Additionally, sending broadcasts from the Smart Display works (it will even play them too), but if you broadcast a message from your phone or other Google Home, the JBL Link View will not play it. 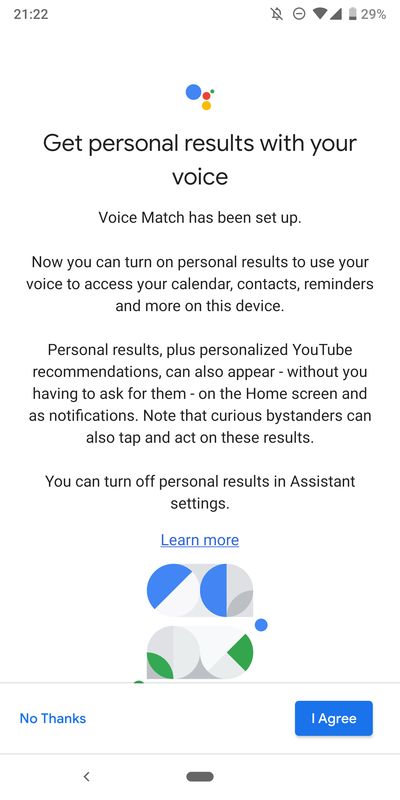 It's a silly limitation that Google continues to put in place for third-party Assistant speakers. Update: This issue appears to be a bug on my end. For my colleague, David, broadcasting works on the Link View as both a sender and recipient. Google tells us it's looking into this. But I was most baffled by the lack of Continued Conversation. 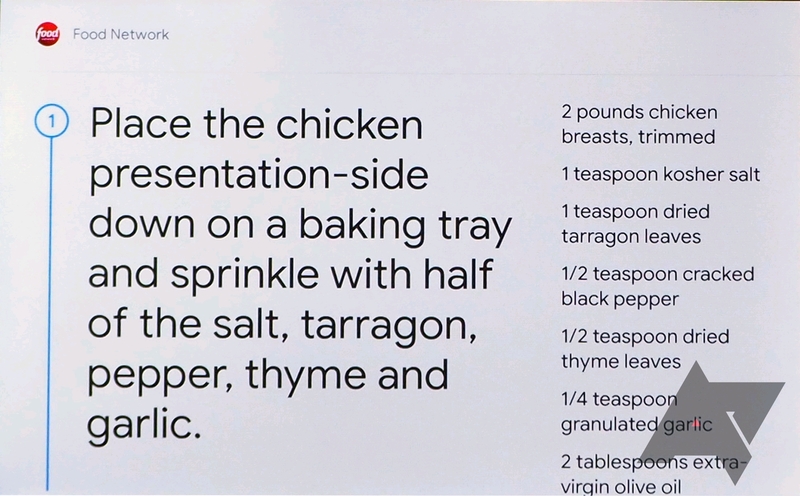 You will have to preface any command with "Ok Google," which is tedious when following recipes. 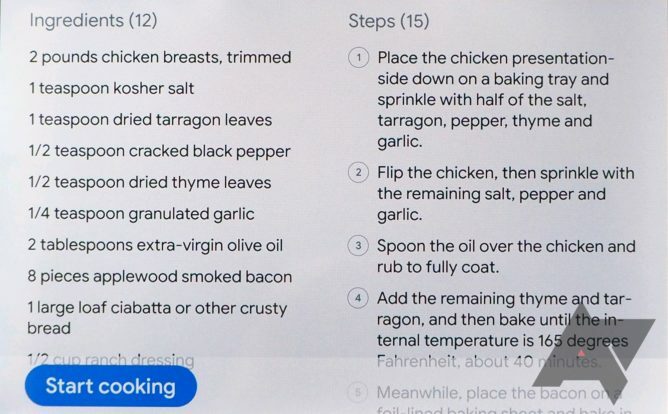 In that context, the conversation mode would have made transitioning between individual ingredients and steps smoother, as well as avoided me my husband's loving remark, "Honey, I know you're testing this, but please stop saying Ok Google every two seconds." He was right, it is irritating. 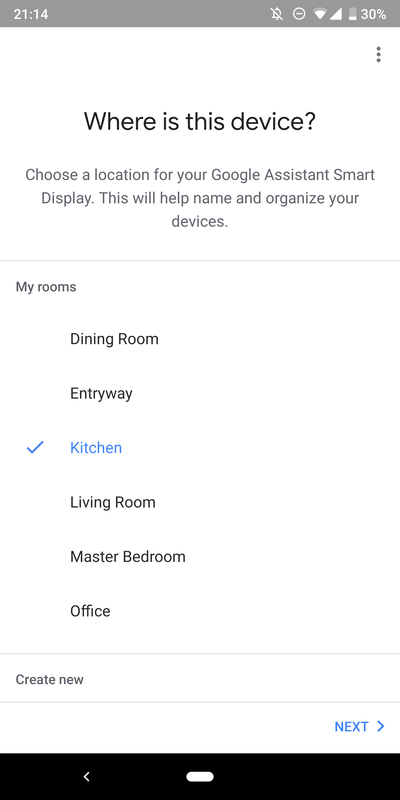 Like Google Assistant on phones and speakers, you can control your smart home devices on the Link View. 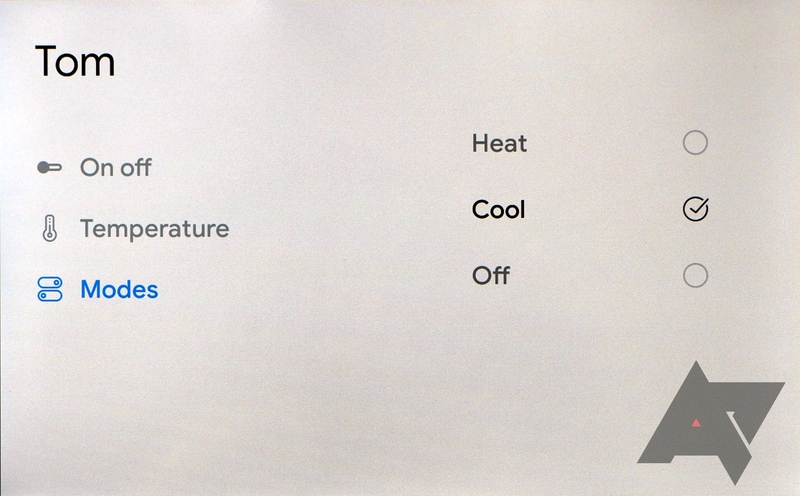 Beside answering you when the command is done, Google offers visual interfaces for some types of devices. 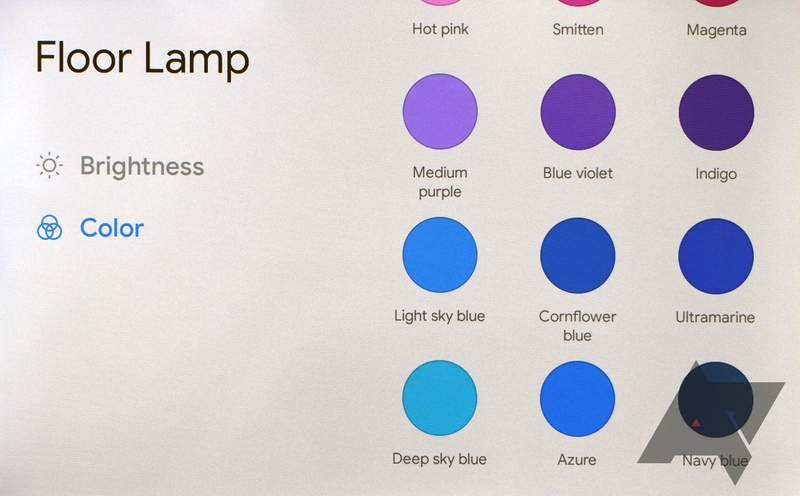 For lights, you can see a color picker grid and a brightness meter. 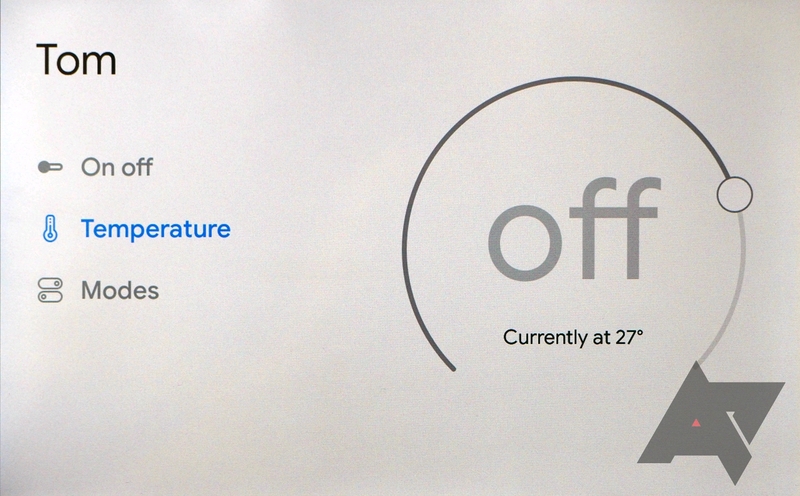 For thermostats and other climate control apps, you get a mode picker, temperature slider, and on/off toggle. 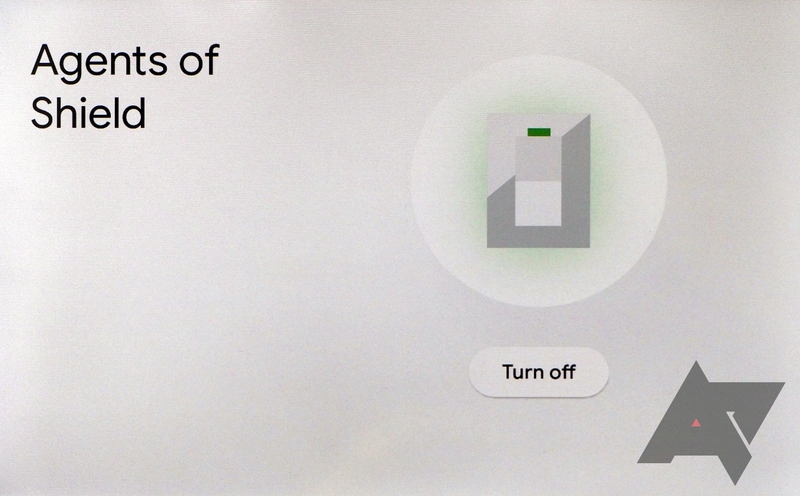 Other smart home device types, like scenes and switches, show an on/off toggle only. And since this acts like a Google Home and Chromecast simultaneously, you can ask it to show your security cameras straight on the screen. I was able to livestream my Netatmo Welcome camera on it without any issues. 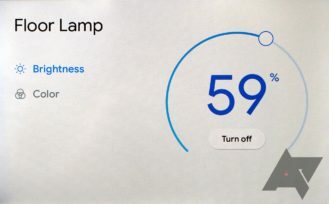 Any smart home device that works with Google Assistant should be supported here as well, and you can also use third-party Actions on Google integrations like Logitech's Harmony and Todoist for example. Google has a handy list that you can explore inside the Home app or on this webpage. So you can see how one of the major reasons I wanted a Smart Display was for making video calls. I got off to a rocky start because I didn't know how to properly format phone numbers to get Assistant to call them, but everything was relatively smooth sailing after that. I simply have to say, "Hey Google, video call mom," and the Link View wakes up and starts a Duo call to my mother. It's extremely convenient. I can even call the display from my phone when I'm away from home to check in on my husband or ask him something. I did hit a minor annoyance, but it will only matter if you're a rebel like me trying to use a Smart Display outside of the US. 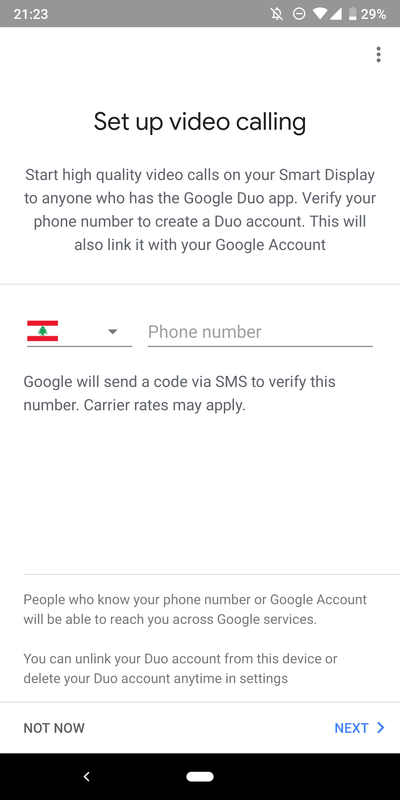 You can pick any number from any country for your Duo account during setup, but once it's done, if you try to make a call from a non-US number, the display will immediately say this feature isn't supported in your country yet. The call will go through, no issues there, but you'll hear the warning every time. I'm just happy it works, so I can't complain much. While Ryne fell in love with the recipe aspect of his Smart Display, my thoughts are a little torn in half. On the one hand, I like asking for a recipe of "shrimp and Sriracha," for example, and getting dozens of options in front of me in a scrollable list. This is how I discovered this honey Sriracha shrimp recipe that I would have never thought about making. (It was delicious.) I also like that the display can show all the ingredients with background images of them — English is my third language, so when I read "ground cloves," I have no idea what it means in Arabic. Seeing the image helps me know exactly what it is. 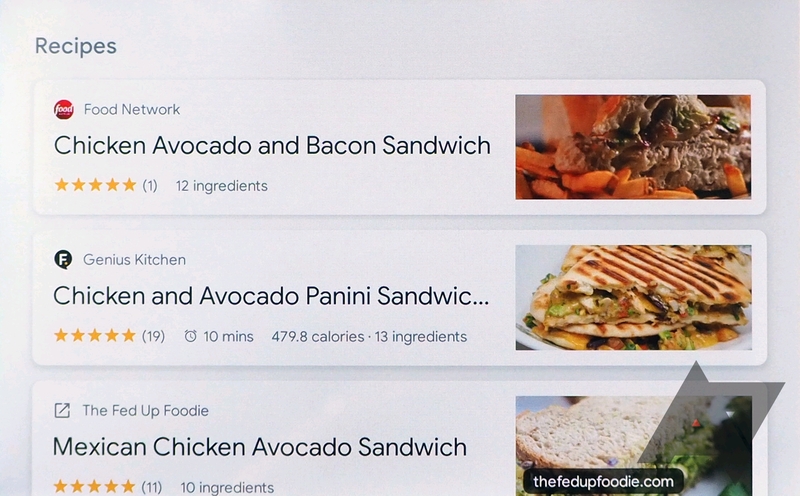 On the other hand, I find many of the other aspects of the recipe experience frustrating. 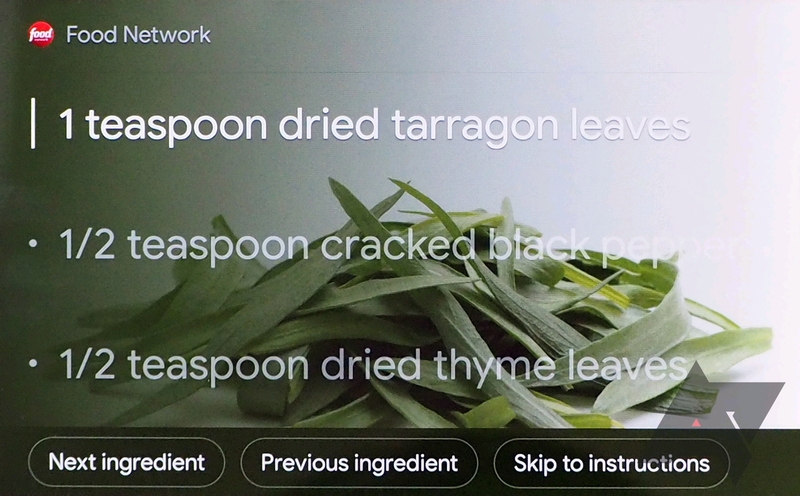 Audio guidance didn't work well for me, especially having to repeat "OK Google, next ingredient/step" like a broken record. I can swipe on the screen, but it's not ideal in the kitchen. I also don't like the step-by-step process for more personal reasons — I prefer efficiency and freestyling in the kitchen, so grabbing five items together from the spice cabinet makes sense to me instead of one-by-one. 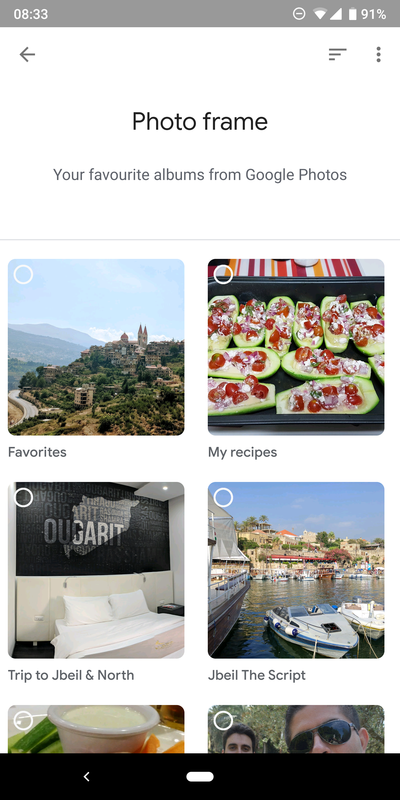 Finally, I already have plenty of recipes bookmarked in my Yummly app, and I wish I could access those in a more organic manner instead of searching for them by title and hoping to get the result from Google. For all these reasons, I found myself preferring the one-page view of recipes like the one above, where you get everything neatly stacked. I just wish I could ask it by voice to scroll down instead of using my grubby fingers. I also came across a few recipe sites where this view wasn't available, so the entire webpage — with ads and tiny fonts — got loaded instead. Yikes. Acting as a Chromecast recipient, the JBL Link View can do a lot of things a regular Google Home can't. 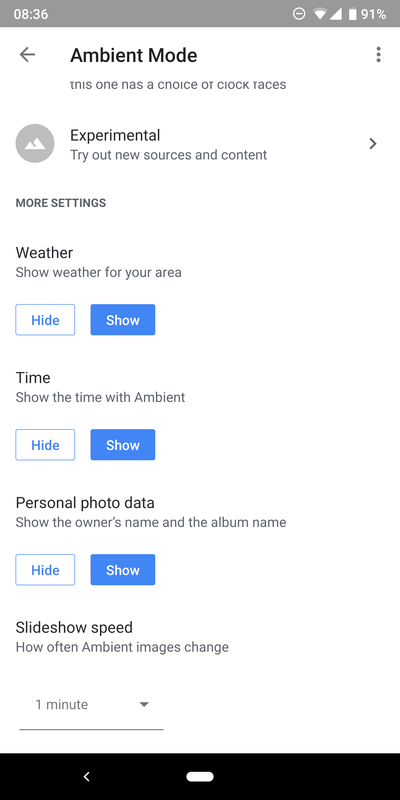 You can ask it to show specific pics from your Google Photos library (people, places, people in places, things, etc...) as well as set them up to rotate in ambient mode, like a picture frame. You can also livestream your supported security cams to it, as explained above. By default, only a few select music services are supported (Spotify, Google Play Music, etc... I can't find an official list anywhere) and only YouTube is compatible on the video side. Casting opens it up to a thousand other uses, except for Netflix — you can't play anything from the service via voice command or by casting from your phone. 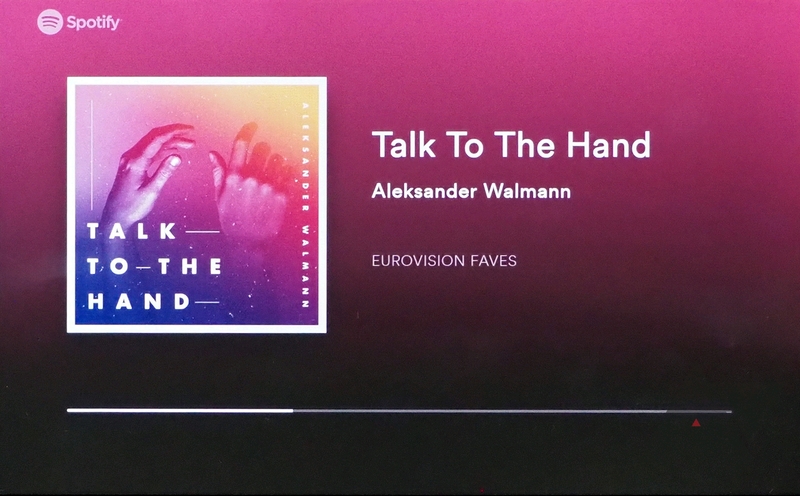 Pocket Casts and Plex both worked like a charm. And when casting isn't supported, there's still Bluetooth for audio streaming. We're waiting on independent verification from my colleague, David, who's checking if this happens in the US, and will update this post with his findings. If things turn out fine for him, you should take this as a cautionary tale against importing the Link View or any Smart Display in an unsupported country. I rely on Spotify for my music, so repeating "play next, play next" after every song is a deal-breaker for me. Update: As expected, David doesn't have any issues playing Spotify on the JBL Link View in the USA. So whatever problems I'm facing are probably down to me using both the unit and Spotify in an officially unsupported country. 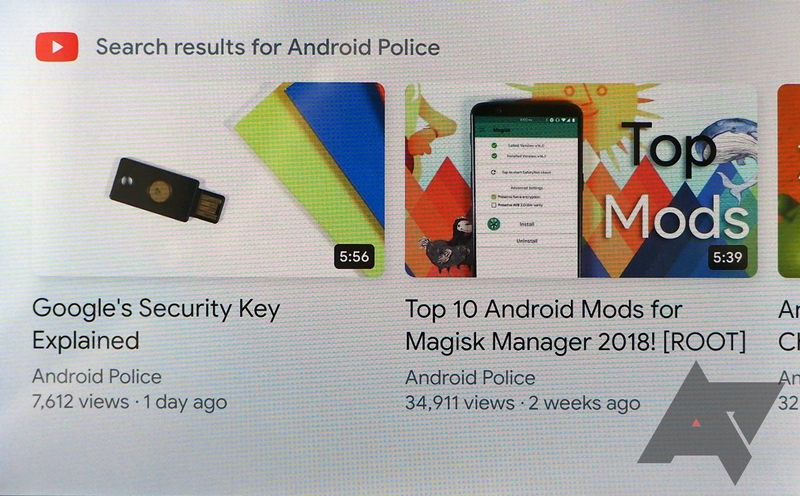 Whenever you ask the Link View a question, the Google Assistant pops up with an answer and a link to open the source. 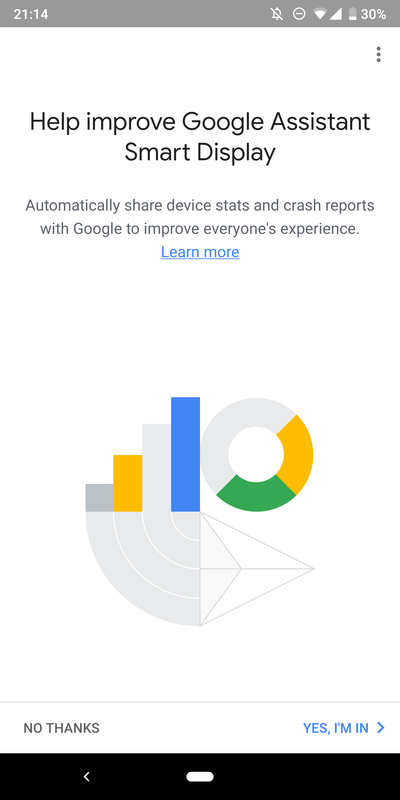 Tapping that loads a nearly-full Chrome browser instance where you can scroll and tap and browse as much as you want (including playing YouTube videos in the browser), as long as you don't care about going back to the previous page, entering any kind of text, or having access to the URL bar. 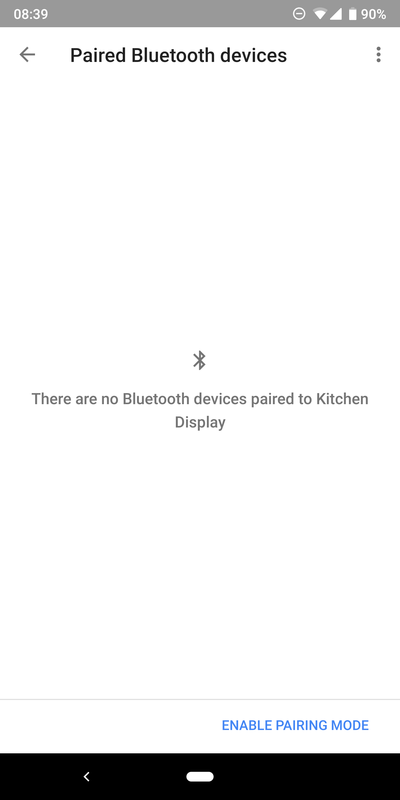 This frustrates me a lot because it's clear that these displays have a browser, but Google chose to restrict what you can do with it. The 2 x 10 W power on the Link View is similar to JBL's Link 20, which I reviewed previously, but the speakers are physically apart here, resulting in better channel separation. The Link View sounds clear and enveloping no matter the music genre, but the highlight of the show are the low frequencies. Bass is crisp and thumping, the volume can get loud without much distortion, and it outperforms my Google Home by a big margin. I never managed to keep the volume over 80% in my tiny kitchen for more than a couple of minutes. The rattling of the nearby cutlery and my heart would force me to lower it every time. Maybe. 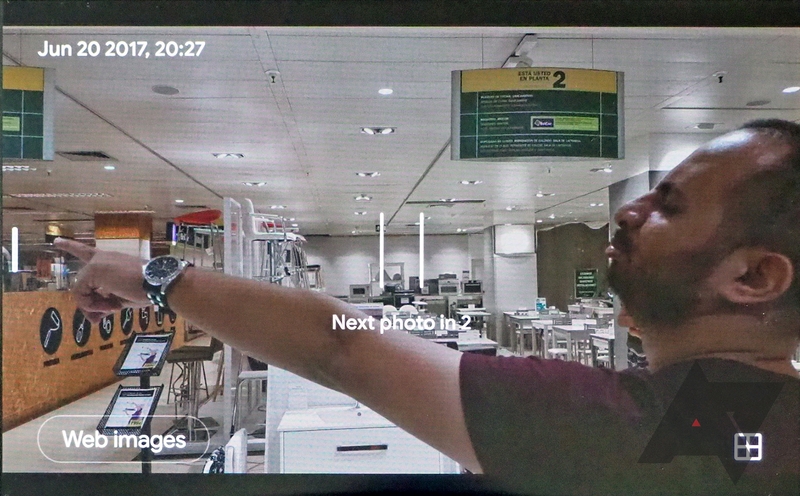 Smart Displays are still a first generation product on the first iterations of their firmware. 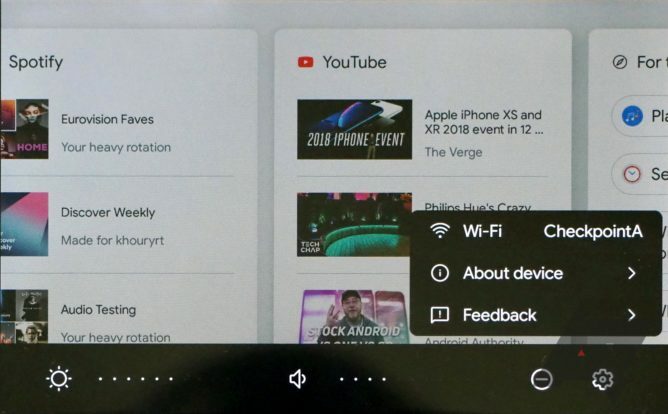 They bring a visual aspect to Google Assistant that we haven't seen before and can do most of what a Google Home or your phone can, but are louder, bigger, better, and with Chromecasting abilities to boot. That makes them very intriguing and appealing. They can be excellent companions in the kitchen where recipes, music, YouTube, and video calls are important to carry around without much fuss. They can also serve well as bedside companions, or as an all-in-one entertainment platform in a room without a TV. 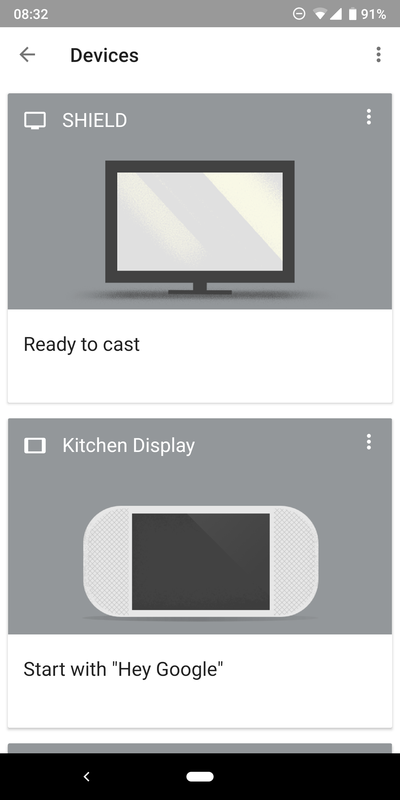 However, some of the limitations are frustrating; no multi-room or grouping with other Chromecasts is a baffling omission. Add the language restriction, the hampered browser, and the lack of conversation mode, and you can see how this is clearly a step back. 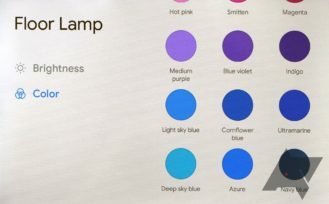 But all of these features could be a firmware update away; the only question is how long you are willing to wait for your Smart Display to reach feature parity with a cheaper Google Home. Besides all of that, the JBL Link View doesn't exist in a vacuum. The Lenovo Smart Display offers two models with a more streamlined design, slightly better displays, but less powerful sound. One has an 8" display that's cheaper ($200) and the other a 10" display that's similarly priced ($250). Even if you decide you want a Google Assistant Smart Display, you will need to see whether your prioritize sound over design/display/price, and only then will the Link View make more sense. You're into the Google Assistant ecosystem, you're willing to wait for feature parity with Google Homes, and you prioritize sound above all else. You want a smart screen and speaker of sorts in your kitchen and you don't mind the price or limitations. You just want to dip your toes in the Smart Display universe — get the cheaper 8" Lenovo instead. This post previously mentioned the lack of multi-user support, but that was my mistake. The Link View does indeed let multiple users be recognized, and will serve them personalized content. 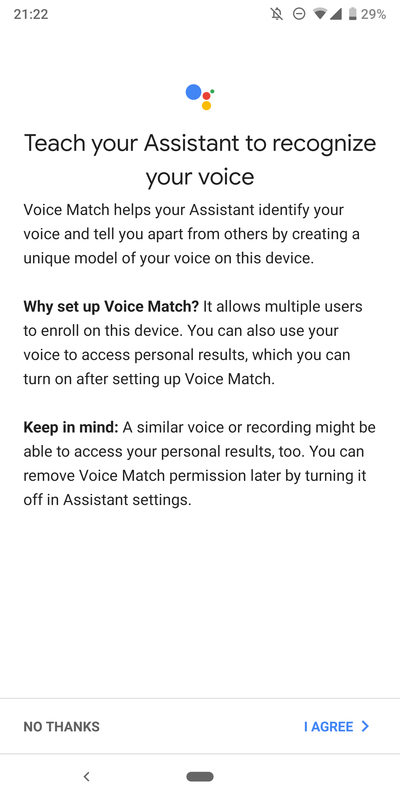 After setting things up with your voice, any other user on the same network will have to open the Google Home app on their phone to add their voice to the Link View. As for multi-room, a Google spokesperson confirmed that support for the feature is coming soon.